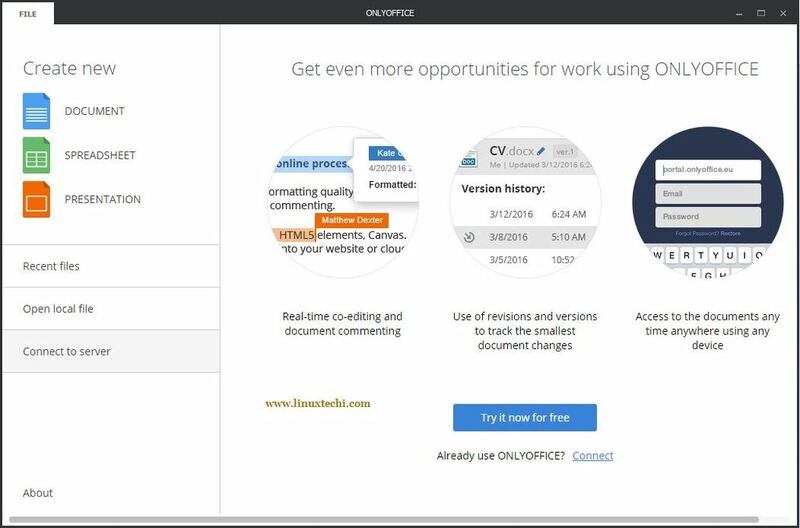 ONLYOFFICE Desktop Editors is a free and open source office suite that includes an alternative for 3 major Microsoft Office apps – Word, Excel, and PowerPoint by providing access to the web-based set of tools for real-time co-editing. As for the functionality, ONLYOFFICE is fully customizable by means of the plugins. – save and close the sources.list. ONLYOFFICE Desktop Editors have a tab-based user interface. So you can open and edit different documents within one and the same window switching between tabs. 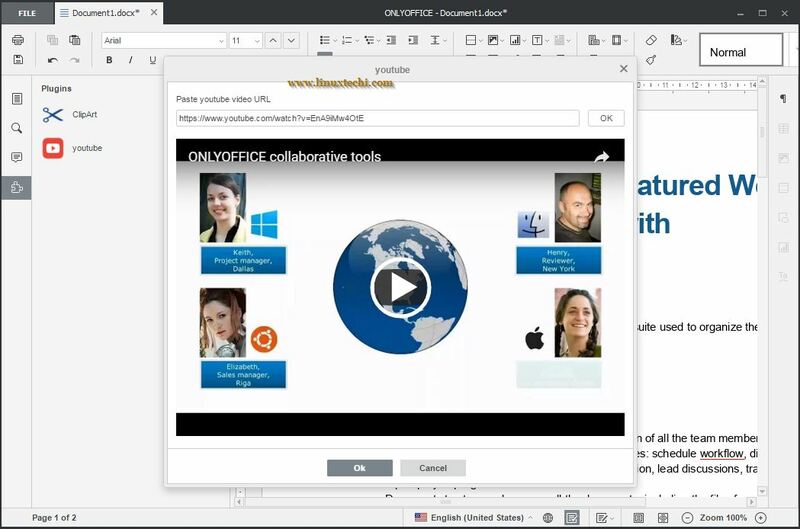 Once the program is launched, you will see the desktop editor main screen where you can create a new document, spreadsheet, or presentation, open files stored on your PC, or connect your desktop editors to an existing web-based ONLYOFFICE portal to collaborate on documents in real-time, comment, interact via integrated chat with your coauthors, etc. 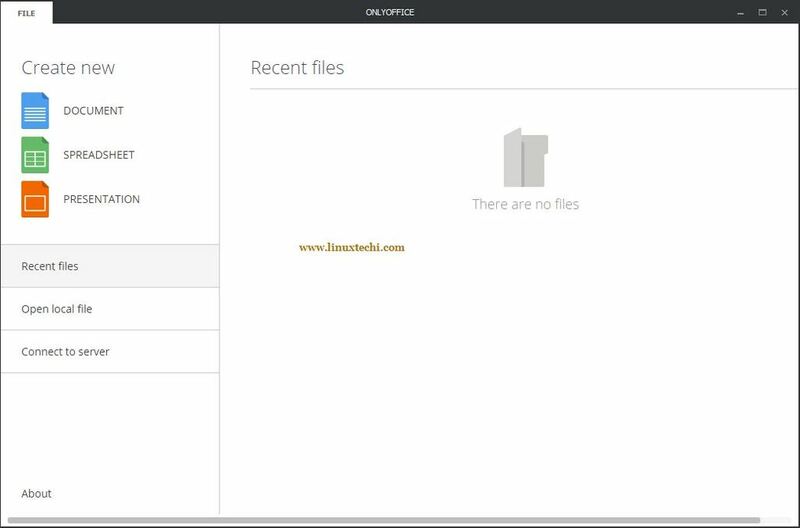 There is also a cloud-based solution free for personal use – ONLYOFFICE Personal. You can create an account and connect it to your desktop editors for real-time collaboration without deploying it on your server. Open the folder and select the plugins you need, ex. YouTube to insert a video from YouTube, or OCR to recognize text from the pictures, or ClipArt to insert a clipart object into your document or presentation, etc. Then open the folder with the plugin you want to add. Select all the files and archive them. Make sure you archive all files (not a folder! ), including config.json, index.html and pluginCode.js. Finally change the archive extension to .plugin and drag-and-drop it to the desktop editors. Create a document or open an existing one. The Plugin icon will appear on the left-side panel.